Three school years ago, I removed the work email app from my phone. It was one of the best actions I have taken. It is hard to balance your professional and personal life when your professional life is taking dominance at home because you can’t stay off of your work email. 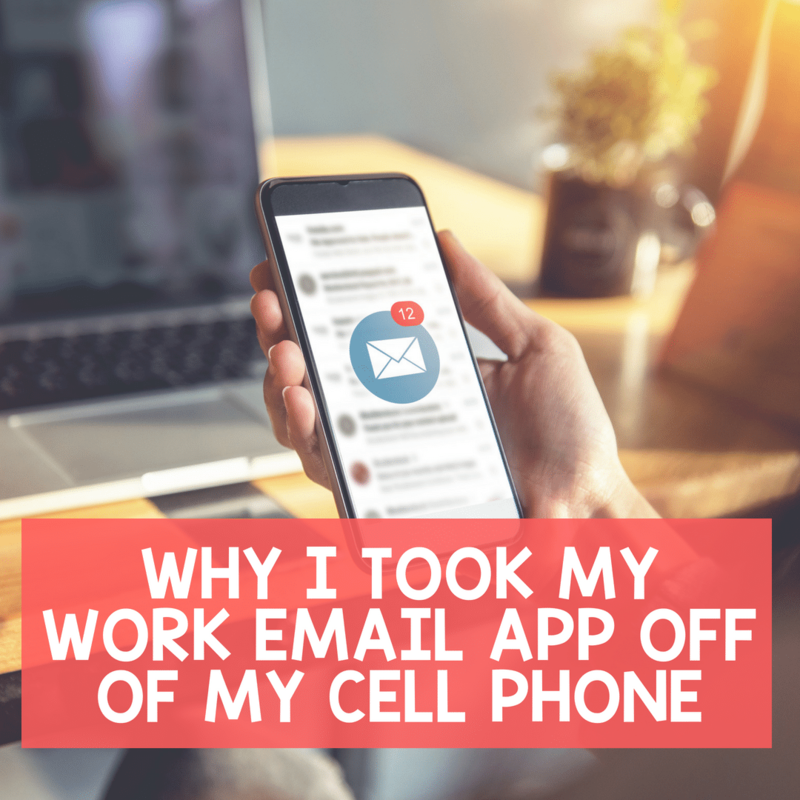 Here are some reasons why I removed the work email app from my phone and why I believe more people should do the same. Notifications are too tempting to ignore. I don’t know about you, but when I see a notification on my phone, I want to check it. I want to know what is happening. If my work email app is not on my phone, I won’t receive notifications and I won’t know that I received an email. Once you check the notification, you are probably going to open the email. There is no need to get all worked up when you are at home away from work when you didn’t even have to know about the email in the first place. Occasionally, I get on my work email at home on my computer. The school day is busy and although I do try to respond to emails during the day, that doesn’t always happen. I will respond to an email at home for the person to read the next day. After I send the email, I log off. If the person replies, I don’t know about it until the next day unless I was responding to another email and that person sent an immediate response. Even then, I’m still probably going to wait until the next workday to read it. If it is an emergency, it shouldn’t be sent in an email. Not responding to work email around the clock is a boundary I set for my mental well being. I know some people get upset if you don’t respond to work emails after hours. Those people don’t have to like it, but they will learn to respect it. They can only control their actions; they can’t make you respond to an email. Furthermore, if it is urgent and it can’t wait, then I expect you to call me and not send an email. You need to have a break from work. As an educator, I would love to tell you every day is roses and sunshine, but some days, it is thorns and thunderstorms. When I get home, I just want to kick off my shoes, slip into my pajamas, and not think about work for a few hours. I can’t do that if I am checking my work email and getting frustrated about what was said in the email. I understand that email is an important communication tool, but you don’t have to use the tool when you are not at work. I tell my colleagues that when I get home, it is my family time. My colleagues know if it is an emergency, they better call my phone. I can’t be actively engaged with my husband and children if I am checking my work email. What do you do to guard your mental health when you’re not at work?